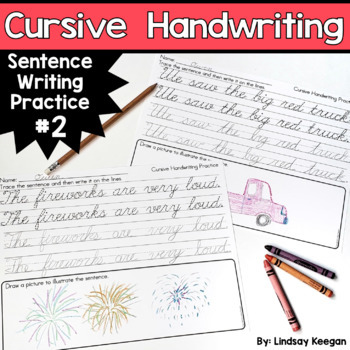 Cursive handwriting practice is a perfect way for your students to master their writing skills. 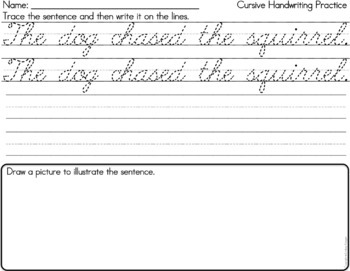 These sentence handwriting practice pages give students a fun way to master their abilities. 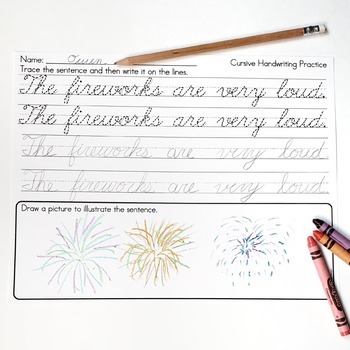 Included are 20 pages that allow the student to trace a sentence twice as well as write them on their own. 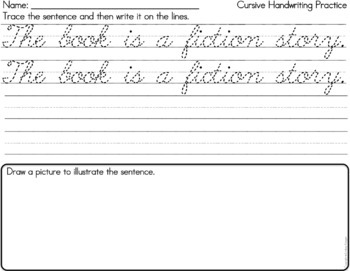 At the bottom of the pages students are given a space to illustrate the sentences that they traced. Thank you for looking and enjoy!